This came from the KPRF.ru site on Saturday. 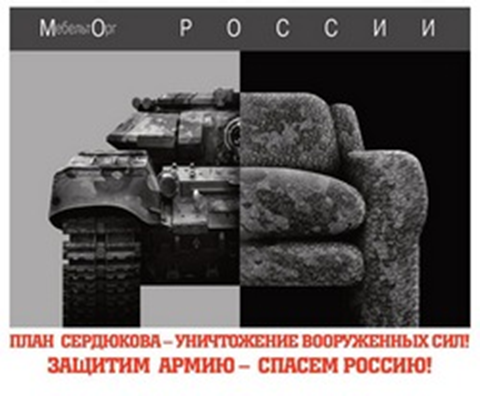 Instead of МО for Министерство обороны in the upper left, they’ve put it as МебельтОрг or furniture sales, making light of Serdyukov’s background in the furniture business. This entry was posted in Serdyukov's Reforms and tagged KPRF. Bookmark the permalink.